Expedition 51 Commander Peggy Whitson and Flight Engineer Jack Fischer of NASA concluded their spacewalk at 10:06 a.m. EDT. 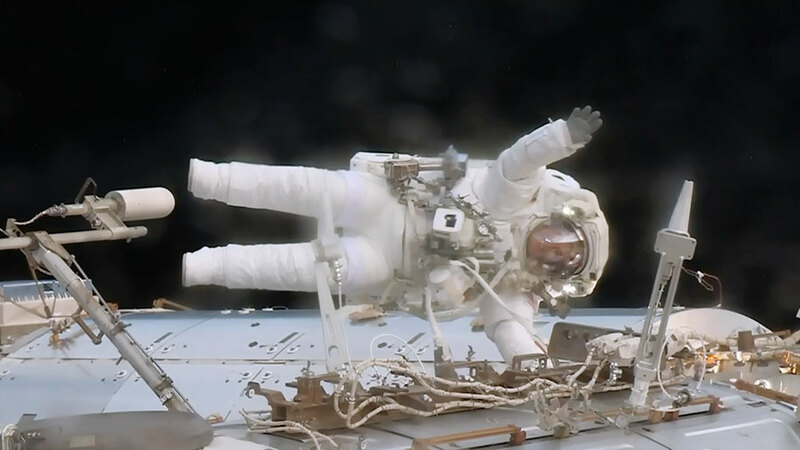 During the spacewalk, which lasted two hours and 46 minutes, the two astronauts successfully replaced a computer relay box, and installed a pair of antennas on station to enhance wireless communication for future spacewalks. Good job I wish I could look down on the earth or just get the feeling of what you are seeing.Do you know of any VR programs that might help me see what you are seeing. Be safe all of you. Commander Peggy Whitson tested the spare MDM inside the space station before the installation spacewalk began. MCC tested the MDM’s power and health after it was installed.